Stop paying OVER the odds for mediocre content. START using AFFORDABLE, QUALITY content written by content writing EXPERTS! My name is Aakshey Talwar and I’m the Founder and CEO of ‘Gaia Internet’. Gaia Internet is a Content Marketing conglomerate that offers Content Marketing and Strategic Consulting services at every price point and for every need. We ensure that you don’t have to shop around if you buy content from us. …You see, here at Gaia, our attention to detail and customer service are so good that we KNOW that once you’ve tried our content marketing service – there will be NO looking back! Your content goes through several rounds of manual and software quality checks before being delivered to you. Every single writer is carefully tested and cherry picked by one of our core team members. Subject to a minimum word count of 200 words per write-up. We believe in the ‘Customer is King’ approach and we will go out of our way to satisfy you. However, FUP does apply. LSI keywords at no extra charge! You can order content for any industry or niche, and we would be glad to write it for you. We can help you with as little or as much content as you require. Place an order when you need it. Subject to our minimum order-size policy. As far as we are concerned, this is a ghost-writing service. At Gaia, you can interact directly with writers working on your project, through our secure content management system portal. 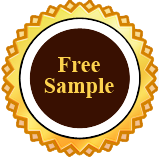 If you’d like a FREE SAMPLE on the topic of your choice, please read this page all the way to the bottom, and you will be able to order it right away! *Assuming a minimum write-up word count of 200 words or more. please visit it using the above mentioned link. You must book an appointment to meet in person. Prospective Freelancers are requested to get in touch via email only. Every single application will be replied to.